Sarah Mulholland, a 2016 Queen’s Law Graduate and trainee solicitor at the Belfast offices of UK law firm TLT, has swept the board with four exam awards on top of her distinction from the Institute of Professional Legal Studies (IPLS), which she picked up this week. The awards include the Belfast Solicitors’ Association prize for the highest average mark in this year’s exams; the Thomasena McKinney Prize, awarded by the Law Society of Northern Ireland to the top trainee solicitor; the Tughans Prize, for the trainee who attains the highest standard in the Property Law and Practice Part 2 examination; and the HarteCoyleCollins Prize for the highest standard in the Police and Criminal Evidence (PACE) course. Sarah has been a trainee with TLT since she graduated from Queen’s with a first class honours in Law with Politics two years ago. Recently appointed to a permanent role in the planning and environment team with the firm, she was presented with the four prizes at the IPLS graduation ceremony held at the University on Wednesday 27 June in the Sir William Whitla Hall. Speaking to Business First Online, Sarah said: “TLT offered me a great training contract and I have enjoyed working with so many leading lawyers in their field. 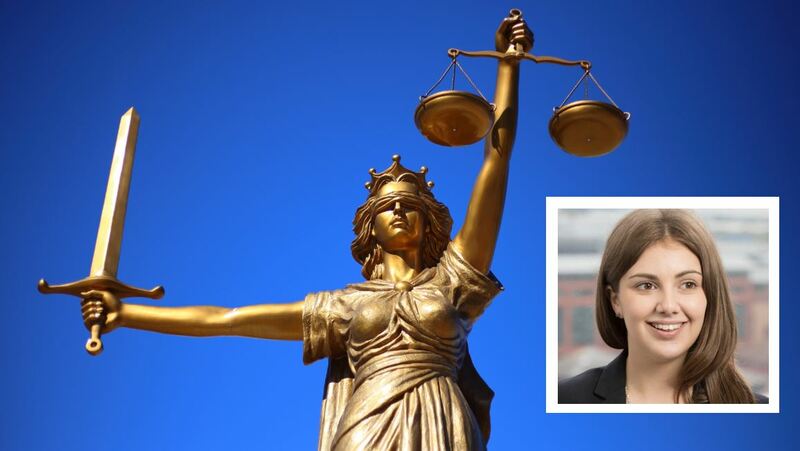 Belfast TLT head Katharine Kimber, who graduated with an LLB from Queen’s in 2000, said: “There is a huge amount of talent in the Belfast legal market and Sarah has proven herself to be among the best trainees this year. TLT NI is a full service law firm backed by a national team of leading experts. Its focus sectors include clean energy, financial services, housing, leisure, food and drink, public sector, retail and consumer goods and digital. Full story in Business First. General enquiries to Gerry Power, Communications Officer, Development and Alumni Relations Office at Queen’s University; tel: +44 (0)28 9097 5321.